Treat your family to a day of relaxation in your private Cabana. The Cabana's are 10' x 10'. Weekend Cabanas include Wait Staff & Food Service. Please read the following information carefully: ALL PAYMENTS ARE NON-REFUNDABLE. If it rains and the park is closed the day you have your reservation, we will issue a rain check. To avoid confusion, cabana online sales are cut-off at 3 a.m. for that day's rentals. Need a Queen Size Cabana for your group or family? We have you covered! The area is in a 10' x 20' space. We only have one of these available per day so you need to reserve your spot as soon as possible. Weekend Queen Cabana includes Wait Staff & Food Service. To avoid confusion, cabana online sales are cut-off at 3 a.m. for that day's rentals. Need a King Size Cabana for your group or family? We have you covered! The rental will include 4 beach chairs and 4 lounge chairs, 1 table, and 12 bottled waters on ice. The area is in a 20' x 25' space. We only have one of these available per day so you need to reserve your spot as soon as possible. Weekend King Cabana includes Wait Staff & Food Service. 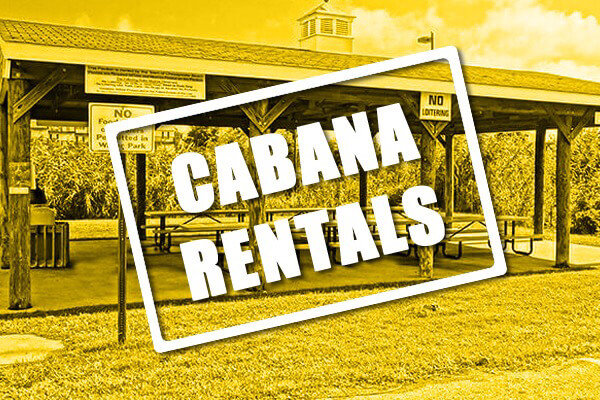 To avoid confusion, cabana online sales are cut-off at 3 a.m. for that day's rentals. 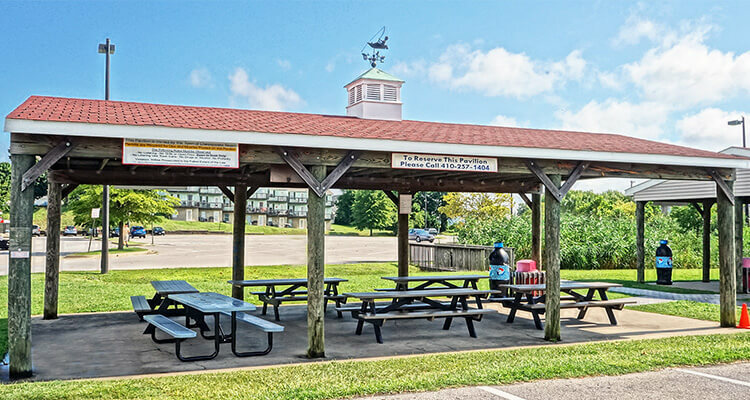 You must live within the Town limits of Chesapeake Beach to qualify for this discount. Identification at time of Permit will be required. GRILLS OR ANY OPEN FLAME ARE STRICTLY PROHIBITED. Please see Pavilion Rental Agreement attachment for complete details of Pavilion rental Rules and Regulations. 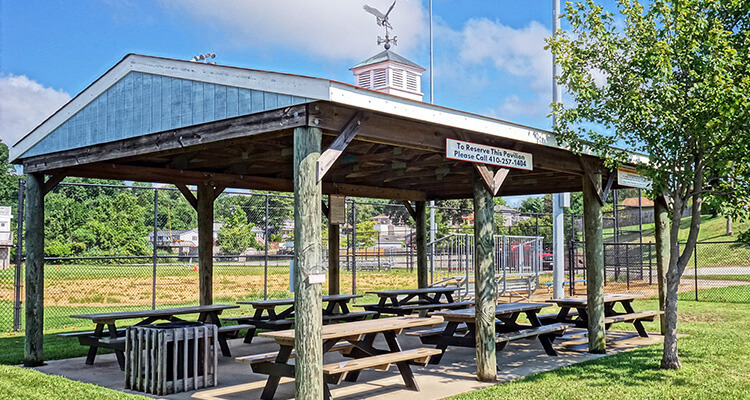 We Have Many Picnic - Party Pavilions that can Accommodate Small & Large Groups. All Pavilions are located outside of the Water Park. GRILLS OR ANY OPEN FLAME ARE STRICTLY PROHIBITED. Please see Pavilion Rental Agreement attachment for complete details of Pavilion rental Rules and Regulations. 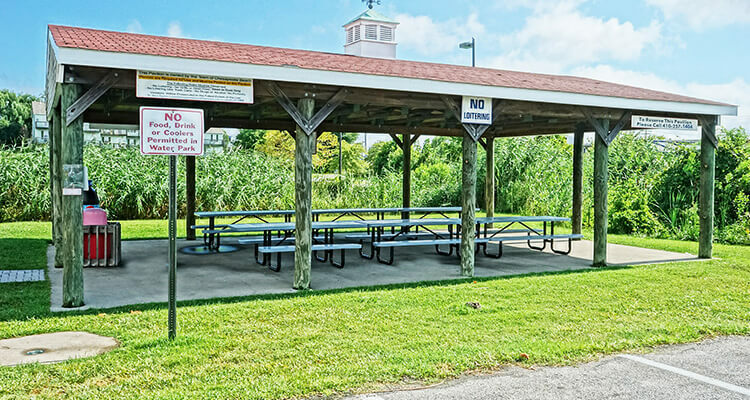 No drugs or alcohol of any kind are permitted on Town property at any time. The charging of a fee by the user group is strictly prohibited. 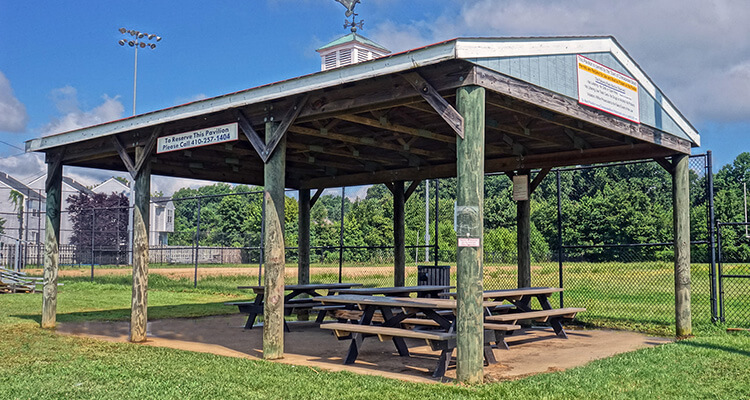 Facility users must be aware of their impact on the neighbors and surrounding community. Amplified sound systems are not permitted. NO GRILLS OR AN OPEN FLAME WILL BE PERMITTED! There is no electricity available at the Pavilions. No use of ball fields permitted.